Why Are There So Many Tornadoes This Year? The US is the most tornado-friendly landmass on Earth. We've got just the right mix of moisture, instability, lift, and wind shear to provoke more than 1,000 of the dangerous storms annually. This year we're off to a banner start: Since January there have been 20 killer twisters responsible for 63 tornado-related deaths. And just this last weekend there were reports of more than 100 of the swirling storms in the Midwest and Plains. End of times? Global warming? What the hell is going on?! The immediate and totally unsatisfying answer, according to Harold Brooks, leader of the modeling, observation and analysis team at the NOAA National Severe Storms Lab is that "we've had favorable weather patterns for them;" basically a lot of elements have been in the right place and at the right time to rile up just the right kind of storm. Recently we've seen low-lying winds from the South meeting up with 20,000-foot high winds coming in from West. The winds from the South, as you would expect, are warm and moist; winds from the West are colder and dryer. The winds from the West are also much higher up, thanks to lift created as they crested the Rockies. When two winds that are so different end up in the same general vicinity, look out: Things get nutty. Because the winds are coming from drastically different parts of the country, the temperature change is drastic. "Instability is caused by the vertical temperature profile," says Brooks. "Large instability is associated with large changes of temperature with height." The gusts start changing direction and speed rapidly. That's called wind shear. Both wind shear and instability are essential ingredients in the tornado recipe. Another thing that's been happening is that we've been getting lots of low-pressure systems called troughs that help direct winds skyward. Your local meteorologist has likely forced some cursory knowledge of troughs upon you; they're the dip in the parallel lines running across the US during a weather segment. Those drops in pressure are associated with cloudy and rainy weather. "It's been warmer than normal and the moisture has been a little above normal as well," says Brooks. Pull wind shear, lift, instability and moisture all together, and you've got the bones of a twister. As for what the rest of the year will look like, well, that's tough to say. "We know historically that an early active part of tornado season tells us basically nothing about what will happen the rest of the year," says Brooks. Last year there were only two killer tornadoes between January and the end of March. And then 750 tornadoes touched down last April, followed by 157 deaths in May in Joplin, Missouri. Instead of ramping up, this year's active early season could just as easily be followed by sleepy summer. "We can predict tornadoes about a week in advance. But to say last December that the early Spring would be active, that we couldn't do," says Brooks. He and his team are currently working on research that aims to help with seasonal forecasting, but for now, the technology just isn't there yet. Nor can we really say that general meteorological trends have much influence. Last year there was a lot of talk that La Niña was to blame for the huge number of storms in the late spring, but Brooks was not one of the talkers. "I'm not a big fan of that as an explanation," he says. 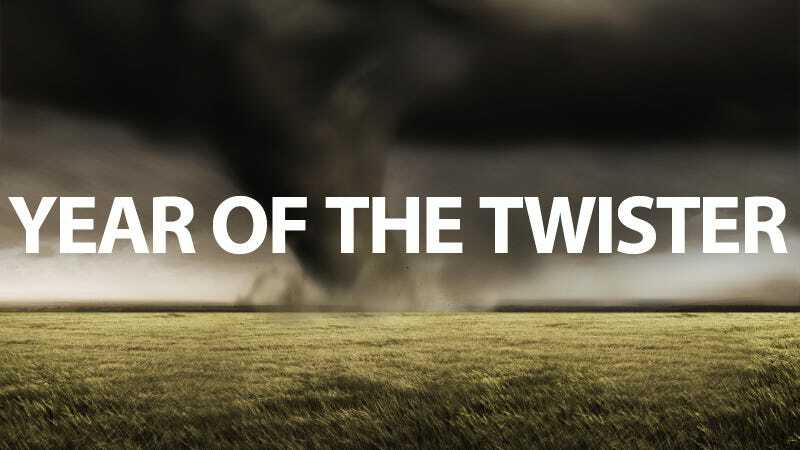 So what's the big meteorological phenomenon that's driving the tornadoes this year? According to Brooks, "We really can't say." Great. Batten down the hatches—just in case.